Australian developers have revealed the results of an experiment with Red Belly Blockchain, which showed a performance of 30,000 transactions per second while connecting devices from different geographic regions. The new technology is likely to solve the problems of throughput and negative impact on the environment. 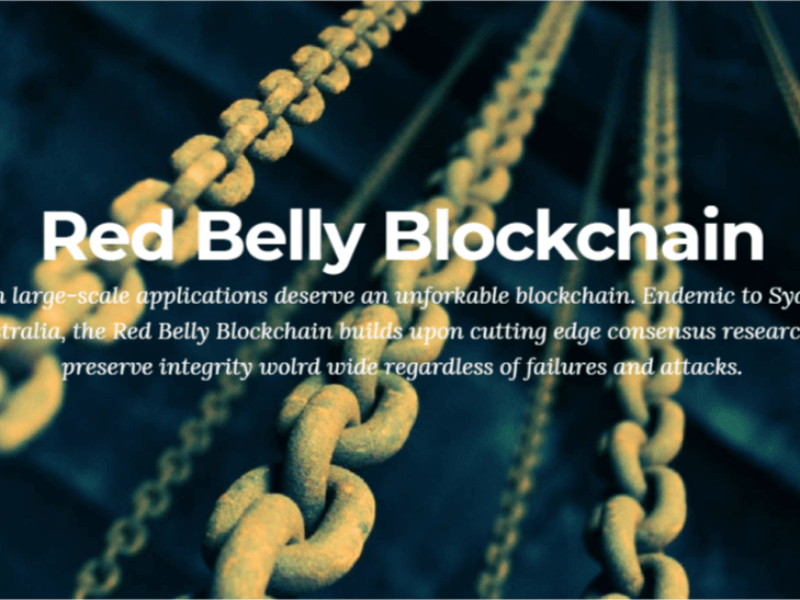 Red Belly Blockchain has been developed by the technology arm of Australia’s national science agency, CSIRO’s Data61, and the Concurrent Systems Research Group at the University of Sydney. CSIRO is known as the holder of many patents, including a patent for the invention of the wireless Internet. The large-scale experiment undertaken on Amazon Web Services’ (AWS) global cloud infrastructure involved 1,000 virtual machines maintaining a copy of the current state of the Blockchain and the balance of all accounts. It was deployed across 14 AWS’ geographic regions, including North America, South America, Asia Pacific, and Europe. A benchmark was set by sending 30,000 transactions per second, demonstrating an average transaction latency of three seconds with 1,000 replicas, comparable to the latency obtained during a test in 2017 with only 260 replicas located in a single region. In comparison, mainstream blockchains need minutes, with other technologies typically processing less than 20 transactions per second. PayPal – 450 (in 2015). That is making it ideal for faster processing of financial transactions and microgrids that use P2P trading to transform the energy sector. “Real-world applications of blockchain have been struggling to get off the ground due to issues with energy consumption and complexities induced by the proof of work. The deployment of Red Belly Blockchain on AWS shows the unique scalability and strength of the next generation ledger technology in a global context,” Dr. Vincent Gramoli, senior researcher at CSIRO’s Data61 and head of Concurrent Systems Research Group at the University of Sydney stated. Being marked as a revolutionary solution for the global economy, Red Belly Blockchain has also attracted big-time investors. The company is currently in the middle of a Series A capital raise to help it commercialize, and Kosmos Capital, a VC firm specializing in blockchain investments, is the one leading the raise.